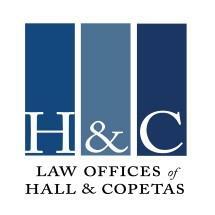 Since 1994, attorneys Hall and Copetas have handled thousands of cases, advocating strongly on behalf of their clients. Certified as specialists in Workers' Compensation law by the Supreme Court of Pennsylvania we possess the skills and resources necessary to handle even the most complex and demanding cases. If you were injured or suffered a loss as the result of another party's negligence, if you need assistance with your workers' compensation or Social Security Disability benefits claim, you can trust The Law Offices of Hall & Copetas, PC for personalized support. For more information, contact our law firm to schedule a free consultation.